Even though I limit the number of weddings I personally commission each year, I still try to get out and shoot weddings as often as possible. I do this by second shooting with other photographers as often as they’ll have me. This allows me to lend my services and help out my fellow colleagues, and practice my craft and stay relevant with my knowledge by continually improving my skill. I can increase my experience without actually increasing my workload. It’s nice really. I show up to a wedding, give it 120% for the day and at the end of the day hand over the memory cards to the lead photographer. I’m done. There are no more deadlines to meet. I can review the images at my leisure. And, I can decide when and even IF I want to post process them. I absolutely adore second shooting! 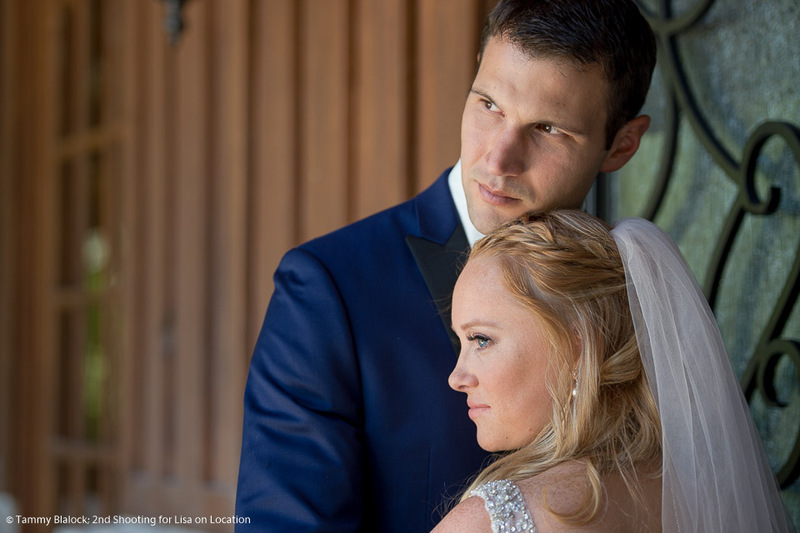 As was the case with Ariel and Andrew’s wedding with fellow wedding photographer Lisa Blashke of Lisa on Location. This wedding happened last year in July at the Springs Event Venue in New Braunfels. The first look. As I’ve stated numerous times, I’m a huge fan of when couples choose a first look. This just helps the rest of the day flow so much smoother and with much less stress. It’s a bonus for all involved. The couple’s creative session that followed was adorable! When the bride puts the right spin on the personal wedding vows, she always brings the groom to tears. If I remember correctly, and that’s a BIG IF, Ariel included anecdotes about Andrew not being able to get his dirty clothes in the hamper, though strangely enough, he could get them near the hamper. Her father was the officiant! And her grandfather walked her down the aisle. Here are some more of my favorite images from their special wedding day at the Springs Event Center in New Braunfels, Texas. I hope Ariel and Andrew enjoy an eternal marriage filled with many, many moments that make them hopelessly in love with each other. Until next time, be positive, happy, healthy, and don’t forget to be photographed. **The images contained in this post were shot under the direction and for assignment of Lisa on Location, owned by Lisa Blashke of New Braunfels, Texas. The images are copyrighted by Lisa on Location, but are used herein with permission. The post, The Springs at New Braunfels Wedding, first appeared on Ata-Girl Photography Co.’s website and blog. Please feel free to comment here, or share this post with your friends via Facebook, Twitter or Pinterest. Please email me if you have any questions about this article or want to share a neat idea for a future blog post with me.